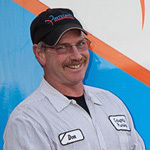 Hi I’m Don with Integrity Plumbing Inc. My wife and I are owners of our family business. Hopefully before you start a Do-It-Yourself (DIY) project of any kind around your home or business you will read on. I realized the other day that I have been plumbing over half of my life. My wife and I have over 45 years experience combined. The advice we have to give we hope is helpful to save you injury, money, time and/or frustration. Many mechanically inclined home owners do projects around the house like hanging shelves, burning brush, building a fence or running irrigation piping. One would not think that these projects have anything to do with plumbing- right? Well I have personally performed plumbing repairs in our community for people who were doing the above mentioned tasks and “accidentally” turned it into a plumbing job. So in our advice section we have tried to address preventive, helpful and safety issues that might be a little out of the normal routine of a project, why? Because nobody likes to pay a plumber to fix a problem that could have been avoided or worse yet one that they have caused for themselves. At Integrity Plumbing we have your best interest at heart. Take on the plumbing jobs you feel comfortable with and when you need a plumber call the pros at Integrity Plumbing, where it’s not just our name, it’s the way we do business. You can select the area you are searching for advice on from the Advice menu to the left or from the drop down menu above.